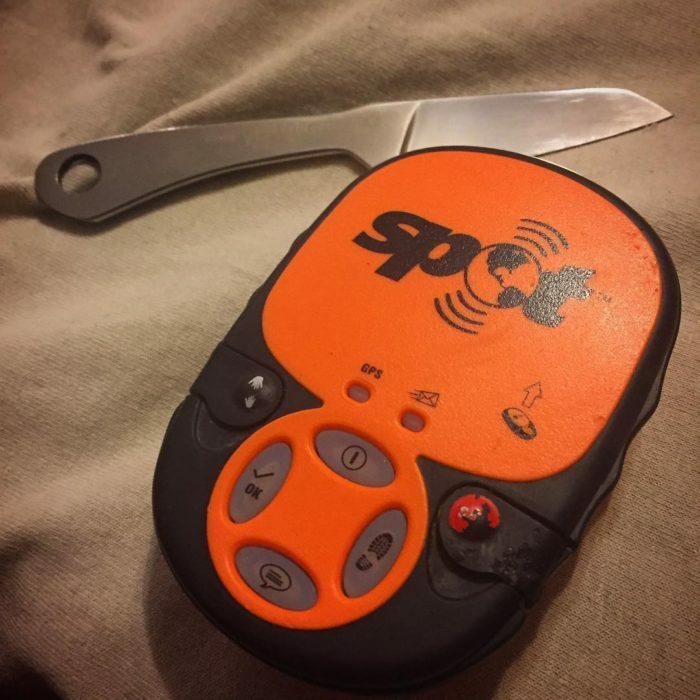 When I tell people I hike long distance, I am often asked safety-related questions, like “Do you carry a gun?” or “Do you have a satellite device for emergencies?” There are many opinions on whether they are worth the weight or expense, but as a husband and father I choose to carry a satellite communication device. It gives my family peace of mind and I’ll carry a few extra ounces if it means that my family can rest easy enough to send me on hiking adventures. In this case, I’m using a SPOT Messenger. A nagging question loomed in my mind as my device aged, however. Where will I be when my emergency electronics fail? Even though they are well built, these devices are still electronics encased in plastic, right? I would soon find out in the middle of a storm. I was hiking through North Carolina on the Appalachian Trail in May when I got word that a storm would be coming through. I’ve hiked in the rain before, but this storm had a name: Alberto. I knew that if a storm has a name, I should get the details. Alberto was a subtropical storm with maximum winds of 65 mph that came through the Gulf of Mexico and came north after making landfall in Florida. As a Florida resident, I’m no stranger to named storms. I’m all too familiar with tropical depressions, tropical storms, hurricanes, and the like. Turns out that subtropical storms, in comparison to tropical storms, generally have a radius of maximum winds that occur relatively far from the center of the storm (usually greater than 60 nautical miles). Since my main concerns would be the amount of rainfall and winds, that caught my attention. I’m not keen on falling limbs and trees or mudslides. Alberto sustained its high winds (over 30 mph) until it reached Michigan on May 31, so any question you may have had about, “How bad could it be by the time it hit North Carolina?” should have some clarity. The rain and wind were picking up. Did that stop a Florida boy from hiking? Nope. I kept hiking, being aware of the weather to the best of my ability. I’ll still enjoy myself despite walking on a trail that has become more like a creek. On May 29, about five days into North Carolina, I decided to make good on my promise to the family that I would use my SPOT Messenger and check in. 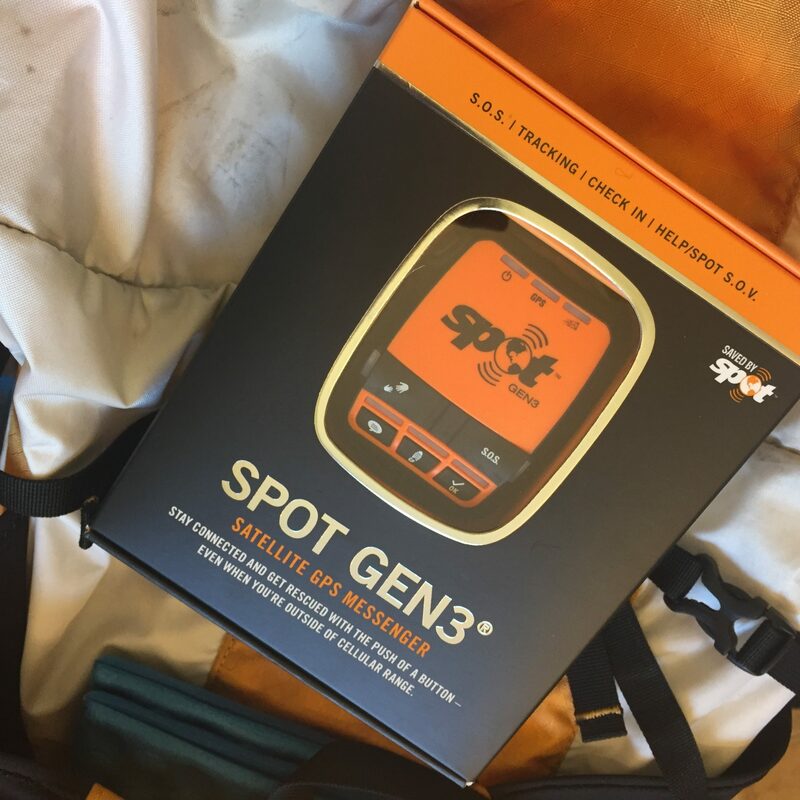 I haven’t really been using it because my hiking partner, my dad, had been getting cell phone signal enough for us to check in with the family and get updates. He recently got off trail, so I would have to rely on my SPOT. I pulled it out and tried to turn it on. Nothing. I pressed the power button again, harder this time. More nothing. At this point, I’m tucked inside my poncho fishing a fresh set of batteries out of my pack. The batteries in the SPOT were already brand new and I had just installed them a few days ago, but I thought I should give it a try. I installed the batteries and managed to keep everything dry. My SPOT messenger is officially dead. Rest in Peace, Gen 2. My family worried about me hiking in this particular storm. The fact that I haven’t seen many hikers for the last day or two seems to validate their fears. That and the fact that two news anchors died from this storm yesterday when a limb fell on their vehicle. It’s certainly not reassuring. With my device out of commission, I hiked to Wayah Bald and found some cell reception. I booked a shuttle to pick me up at Burningtown Gap to take me to a lodge for the night so I could troubleshoot my device and check the weather. All went according to plan and I arrived at the lodge that evening for a break from the storm. Before it got late, I worked on troubleshooting my SPOT messenger device. I meticulously dried out any moisture in the buttons and so forth and tried to turn it on again. Success! I wasn’t sure if it would perform that way again in the field, but I figured I should see if it functions properly while it is dry. It’s only been a few days since I performed the last function test, but now I had reason to doubt. I placed it in the window so it would get GPS signal and sent an “OK” message. Moments later, I was talking with another hiker at the lodge when I see the lodge owner, Maggie, coming down the hill from their house. “Maggie looks upset,” I said. She rushed in and said, “Is everything OK? Your SPOT messenger device has sent an SOS.” She was on the phone with the SPOT monitoring team. Shocked, I assured her that everything was fine. Apparently my device was not only having issues getting reliable power, it was now sending an “SOS” instead of an “OK” message. I immediately called the SPOT team about my issue. They were understanding and wanted me to have a fully functional device ASAP. My device wasn’t anywhere near new, but they still took very good care of me. I explained my situation to the first person who answered the phone and didn’t have to argue with anyone or ask to speak with a supervisor. In fact, the agent I spoke with put me on hold and spoke to a supervisor voluntarily. In the end, they offered to send me the newest comparable generation device (Gen 3) at a discounted price. I’m very thankful the SPOT team was smart enough to call the lodge based on my location and verify what was happening instead of immediately sending emergency services. Thanks, SPOT! I’m extremely grateful I chose to do this off trail at a lodge so this didn’t happen at the shelter. I’m guessing search and rescue probably would have shown up if I had stayed at the shelter. My false alarm could have been much more dramatic. Now I’m all set with a brand new device that should last me for years and a renewed confidence that I can manage these sketchy situations. I’ll keep carrying my my SPOT device, but will always rely on my mind to be the best option for personal safety. That being said, there are nights when I sleep better knowing I have the option to call for help. My family has said the same. If you’ve had experience with a similar device (or not), I would love to hear from you in the comments.